Data analytics has become a critical need in industries ranging from health care and financial services to marketing and government. 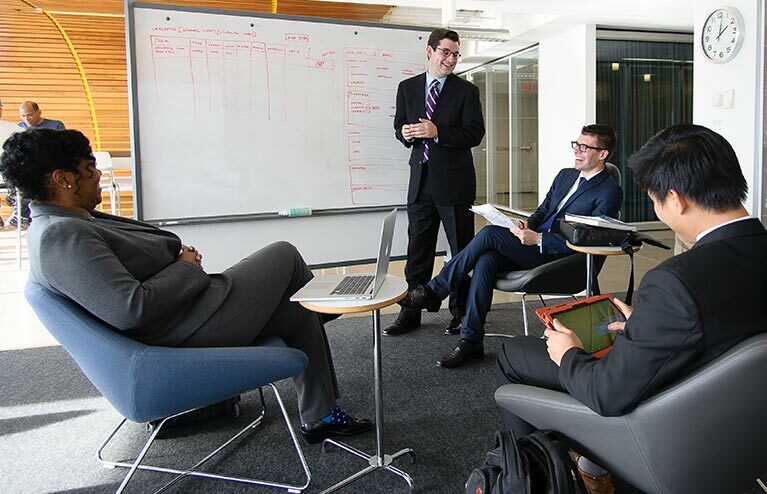 Leveraging the strengths of the College of Management’s faculty, the University of Massachusetts Boston is offering a cutting-edge and flexible doctoral program in this field. Positioned at the intersection of technology, business, and strategy, the information systems for data sciences track in UMass Boston's Business Administration, PhD Program allows students to have a holistic view of data science and the role it plays in competition. Students will get exposed to a variety of state-of-art research streams in information systems and data science, with a relative focus on both data analytical techniques from a design science perspective and the application and management of data analytics in business settings from an organizational perspective. The program will offer students flexibility to investigate other topics they find interesting in data science and technology fields. All students with master degrees who are interested in information technology and data analytics are welcome to apply. Students with degrees in quantitative fields such as statistics, economics, math, computer science, management sciences, information systems, and other related disciplines are particularly encouraged to apply. A master degree in these related fields is a plus, although not required. Previous full-time working experiences in related positions are also a plus. Rapid increase in the amount of published data results in a data deluge that imposes significant challenges in data analytics. By offering a carefully tailored combination of courses in information technology, applied statistics, and business analytics, our PhD program provides rigorous and in-depth courses of study with emphasis on various research methodologies, tools for data analytics, and relevant academic skill sets involving research design, literature review, theoretical development, empirical validation, and academic writing. Our program also provides students with extensive knowledge in the various emerging research areas in information systems (IS) field through IS research seminars and research collaboration opportunities with faculty members. Academic advisors will help students configure a program of study which includes a rigorous sequence of courses in a variety of research methodologies, theories, and topics. Students will develop theoretical and methodological competencies in a variety of topics in the field of information systems and data science. Students will develop teaching competences through the teaching seminar, GA assignments to support a professor, and independently deliver courses. In addition to course work, students will actively engage in research with faculty members. decision modeling applications to areas such as technology development, policy, resource management. There are two main career opportunities for the individuals graduated from this program. They can pursue a career in academia as a faculty member or join an organization as a data scientist. In the first case, they can educate other data scientists and conduct state of the art research to be published in peer-reviewed journals. For the second, students can become data scientists who use the acquired knowledge to excel the effectiveness of data collection and analytics in their organization and improve its competitiveness in today’s economy. More than a dozen dedicated faculty members are devoted to student learning in this track alone, with additional faculty serving in supporting roles. Faculty are leaders in their fields who regularly publish scholarly articles in top academic journals. Doctoral students will be paired with faculty advisors based on their area of interest. This intense mentorship program allows students to learn the crafts of research and teaching in a highly collaborative environment.